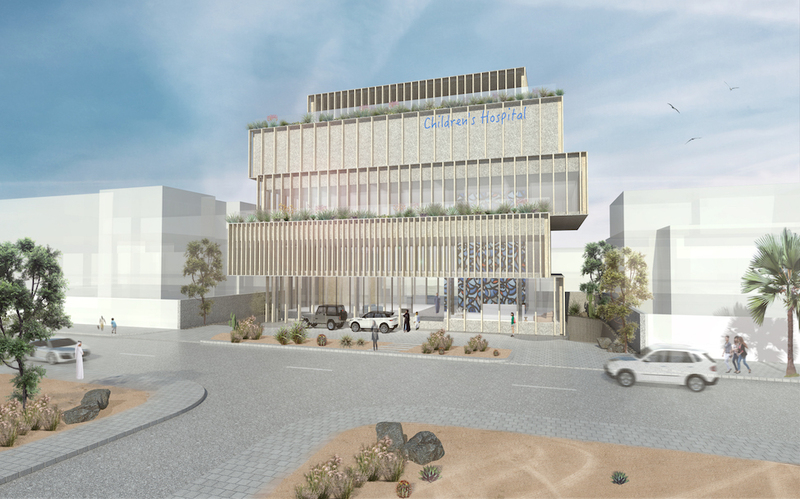 A G+3 Children’s Day Surgery Centre accommodates a medical program with two levels of underground parking. The program is arranged with different functions on each floor and the modulating architectural facade treatment responds to and reflects the varied uses contained within and the natural light levels required. The floor plates are playfully slipped about a central core to break down the scale, reminiscent of a children’s game, creating shaded overhangs, roof gardens and terraces. The fully glazed ground floor draws users inside below the overhanging canopy into the reception, waiting, play areas, and pharmacy. The first floor shifts towards the street to create the entrance canopy and contains staff facilities. 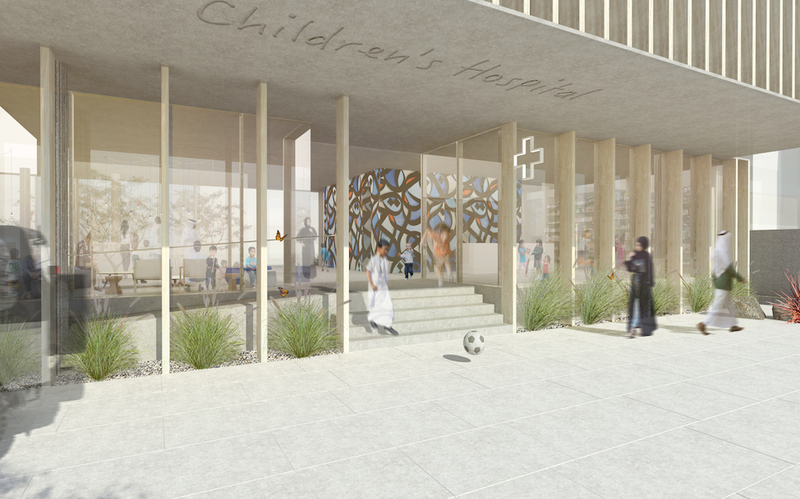 The second floor, set back from the first floor to create extensive roof gardens and terraces, contains the children’s rooms and nurse station. 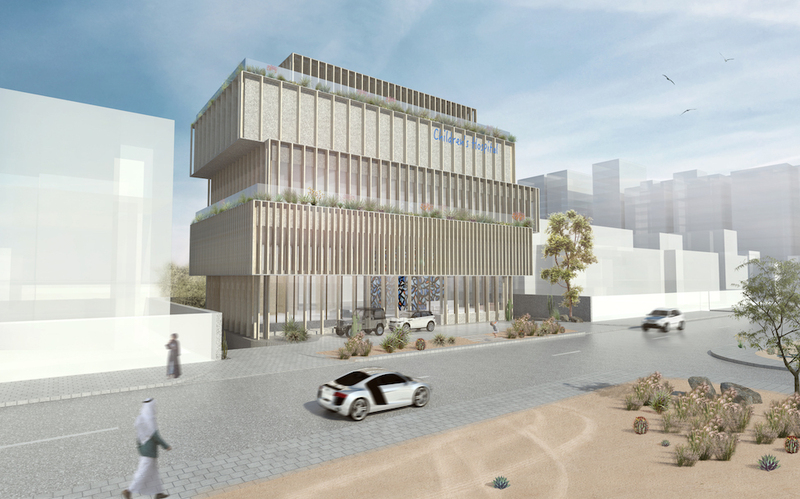 The third floor is a closed volume containing the operating rooms and above this, set back is the roof garden, reflecting the importance of nature and health.